Every move that you make from a financial standpoint should be made with an eye on the future. If you take the right steps along the way, you can accumulate the resources that you need to comfortably address each stage of your life. The sooner you get started, the better, because people that act within a well-constructed, defined plan early on typically reap the rewards when the time is right. Professional guidance is very important, because there are legal actions that can be taken to address eventualities that may present themselves in the future. You may also need some advice with regard to the best way to invest your resources given your financial capabilities. We are well qualified to provide the assistance you need so that you can make the right choices. Preparing for retirement will definitely be an important part of the long-term financial planning equation. Social Security will certainly help, but the income stream is quite modest. Very few people would be able to live well on the average Social Security benefit, even if it is multiplied by two for a married couple. There are also out-of-pocket expenses that must be paid for medical treatments if you have Medicare coverage as your primary source of health care insurance. It is important to understand the limitations of these programs and go forward with a good idea of exactly what they will and will not provide. An individual retirement account can serve as a very strong supplement, especially if you have been contributing into a plan for a number of decades. Many employers that offer 401(k) programs offer matching contributions. This is something that you should definitely take advantage of if you can, because it is nothing more or less than free money. After your active retirement years start to wind down, the twilight years will come into focus. The vast majority of senior citizens will need help with their activities of daily living at some point in time. Many will reside in nursing homes, and these facilities are extremely expensive. You can expect to pay somewhere in the vicinity of $100,000 for a year a private room in a nursing home at the time of this writing, and people sometimes require this type of care for multiple years. The Medicare program will not pay for the custodial care that you would receive in a nursing home. When you consider the costs involved, everything that you always intended to leave to your loved ones could wind up going to a nursing home instead. Medi-Cal is a government health insurance program that will pay for long-term care. Even though there are income and asset limits because it is a need-based program, it is possible to position your assets out of your own name at the right time. 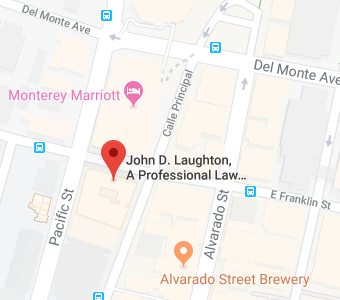 This is an area of expertise for our firm. We can gain understanding of your situation and advise you accordingly. If you would like to discuss your long-term financial goals with a licensed attorney, you can schedule a consultation right now if you call us at 831-649-1122.